In Columbia Pictures' The Pursuit of Happyness, Chris Gardner, (Will Smith) is a bright and talented, but marginally employed, salesman. Struggling to make ends meet, Gardner finds himself and his five-year-old son evicted from their San Francisco apartment with nowhere to go. When Gardner lands an internship at a prestigious stock brokerage firm, he and his son endure many hardships, including living in shelters, in pursuit of his dream of a better life for the two of them. $26.541 million on 2852 screens. For winter 2006’s most surprising hit, look no further than The Pursuit of Happyness. This flick reinforced Will Smith’s wide appeal as an actor, as it became an unanticipated hit. The unassuming feel-good story raked in a terrific $157 million and earned good critical notes, especially for Smith; he pulled down an Oscar nomination for his work. Based on a true story, Pursuit looks at the life of Chris Gardner (Smith). Set in the 1981, we meet Gardner as the struggling father of five-year-old Christopher (Jaden Christopher Syre Smith) and husband of Linda (Thandie Newton). He spent their savings on medical devices that he tries – and usually fails - to sell to doctors. This puts tremendous pressure on the family and eventually leads to Linda’s departure. 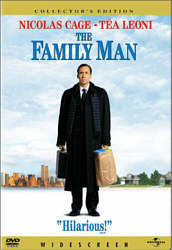 She leaves Christopher with Chris and he attempts to balance his life as a single parent with his financial difficulties. 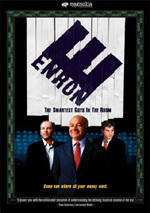 He continues to find it tough to unload the medical devices, and he complicates matters when he decides to pursue a career as a stockbroker. Chris lands an internship at Dean Witter Reynolds; though it doesn’t pay anything, it may lead to a high-salary job when it ends. The flick follows all Chris’s trials and tribulations as he attempts to make life better for Christopher and himself. On the surface, Pursuit looks like your basic Hollywood “triumph of the human spirit” underdog tale. Beneath the surface, that’s exactly what it becomes. However, that doesn’t mean that the flick turns into the usual sickly-sweet tripe. While the movie occasionally veers in that direction, it mostly stays on the right side of the street. It manages to provoke the expected feel-good moments without too many bits that need to come with insulin shots. Perhaps the biggest problem with Pursuit comes from its inevitability. Does anyone doubt that Chris will eventually prosper and land his dream job at Dean Witter Reynolds? I doubt it, especially since the tale comes from a true story; movie studios don’t often back factual pieces that end in misery, at least not when they involve cute little kids. So the film’s ending should come as no surprise, and all the events along the way follow predictable paths. However, Pursuit becomes a little too much to take due to the level of misery it inflicts on Chris. Almost every time he starts to get ahead, something slams him back down to earth. Since we know that he’ll come out fine, this feels a bit sadistic. It’s like the movie is aware that we know where it’ll end so it wants to poke us with sticks in the meantime. This also adds another odd layer of predictability to the flick. As I mentioned, the ending won’t catch anyone off-guard, and the number of setbacks Chris confronts along the way become easy to foresee too. I guess this means that Chris’s ultimate success should be a surprise since the movie so frequently deluges us with failure, but it doesn’t. While we appreciate his accomplishment, we’re left too dazed by all the negativity to really appreciate it. Once I get past the movie’s aggressive sense of negativity, I can find elements to like about it. Though the role of Chris doesn’t require Smith to stretch himself too far, he still fills the part well and gives us a human, likable protagonist. It helps that he and real-life son Jaden interact so naturally, a fact that alleviates the usual cutesy kid syndrome. I feared that little Jaden would be sugary-sweet and tough to stomach, but he usually avoids the standard Hollywood kid tendencies. Instead, he comes across like a real tyke and manages to endear himself even to cynical bastards like me. Too bad the film gives Newton little to do in her role. The story allows her one or two semi-human moments, but usually it casts her as an unlikable harpy. This goes back to the flick’s unrelenting negativity, as it wants to put one more relentless obstacle in Chris’s path. This makes sense within the narrative but doesn’t leave Newton with the potential to create a real character. I could also live without the movie’s ubiquitous narration. I dislike the cutesy choice to label elements of the flick. We get statements like “This part of my life is called running” and “This part of my life is called internship”. The narration feels like a crutch, as I get the feeling the filmmakers worry that we won’t understand the action without these notes. I don’t agree with that, as I think most of the narration becomes redundant; we get the points without the excessive chat. Perhaps I shouldn’t criticize The Pursuit of Happyness for its emphasis on negativity since my review goes down similar lines. Despite the movie’s problems, I actually think it works fairly well. It keeps us interested and we buy into the main character’s plight. Add to that a winning lead performance from Will Smith and Pursuit turns into a flawed but generally entertaining feel-good flick. 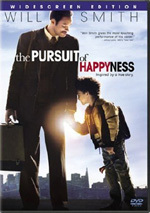 The Pursuit of Happyness appears in an aspect ratio of approximately 2.40:1 on this single-sided, double-layered DVD; the image has been enhanced for 16X9 televisions. I thought the transfer looked good but not great. Some minor problems related to sharpness. Light edge enhancement appeared, and that occasionally left the image without great definition. Much of the movie was fine, though, as the softness didn’t usually interfere with the presentation. No problems with jagged edges or shimmering occurred, and print flaws seemed absent. The movie seemed a bit grainy at times, though. Contrast seemed a bit off, as parts of the movie looked overly bright. This complimented the dark-skinned actors but left everyone else pale and pasty. I thought the brightness made the movie appear a little odd at times. The film’s palette reflected the same issues. The colors seemed coordinated to reflect the main actors’ skin tones, and that left the entire movie with an amber tint. Some brighter colors popped up in exterior shots, and the hues were fine within the schemes used. Overall, the transfer seemed positive; it just lacked the snap I’d like to see. Given the character drama roots of The Pursuit of Happyness, I expected little from its soundfield. Indeed, this was a fairly restricted soundfield that fell in line with films of this genre. The audio stayed largely focused on the front channels. A few elements like thunderstorms and offices opened up the surrounds a bit, but there wasn’t a lot of information on display. Music showed good stereo imaging, at least, and the general ambience was fine. Throughout the movie, audio quality seemed perfectly acceptable. Speech remained natural and concise, with no edginess or other issues. Music offered nice life and vivacity, while effects appeared clear and tight. When necessary, the track exhibited warm bass response. This was too low-key a mix to earn a grade above a “B-“, but it was more than fine for this sort of flick. As we look at the DVD’s extras, we open with an audio commentary from director Gabriele Muccino. He offers a running, screen-specific chat. The director goes over how he got the job, working with the actors, sets and locations, period details and logistical concerns, factual influences and consultations with the real Chris Gardner, camerawork, cinematic influences, editing and cut scenes, and a few other production details. I worried that Muccino’s heavy Italian accent might prove off-putting or difficult to understand. Happily, that didn’t occur, as he always remained easily intelligible. Muccino provides a nice examination of the flick. He starts a little slowly but becomes more interesting as the track proceeds. At times he relies a little too much on minutiae like the 80s set dressing, but Muccino offers a nice take on the production. Someone needs to tell him that Dan Castellaneta does the voice of Homer Simpson, not Bart, though. A few featurettes follow. Making Pursuit: An Italian Take on the American Dream runs 17 minutes, 34 seconds as it includes movie clips, production elements, and interviews. We hear from Muccino, actor/producer Will Smith, producers James Lassiter and Jason Blumenthal, executive producers Louis D’Esposito and Mark Clayman, and actors James Karen, Dan Castellaneta, Brian Howe, and Thandie Newton. The show looks at how the producers chose Muccino for the flick, the director’s take on the story and his work with the actors, locations and shooting in San Francisco, language issues, period considerations, and a few scene specifics. While I wouldn’t call “Dream” a deep featurette, it proves more satisfying than most. I like the footage from the set, especially when it illustrates Muccino’s directorial style. The show covers some of the basics with reasonable clarity and turns into an enjoyable little piece. For the seven-minute and 29-second Father and Son: On Screen and Off, we get notes from Blumenthal, Smith, Muccino, Lassiter, and actor Thandie Newton. The program views the casting of Jaden, working with the youngster, and the natural chemistry between Will and his son. A few decent details pop up here, but the most interesting parts show Will as he works with Jaden on his performance. Those make this a decent program. The Man Behind the Movie: A Conversation with Chris Gardner lasts 13 minutes and one second. 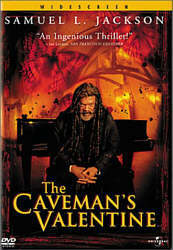 It includes remarks from Gardner, Clayman, Smith, Blumenthal, Howe, set decorator Lauri Gaffin, and producer Todd Black. We get info about Gardner’s decision to get involved in the project, his work on the flick, and his reactions to and impact on the production. We also learn a little about the facts behind the film. I’d have liked a lot more of the latter and less of the former. A Gardner commentary would have been great, as I’d love to know how many liberties the film takes. This featurette could have compensated with that sort of information, but it doesn’t tell us much in that vein. Instead, it seems intended to tell us how good and moving the flick is. It’s nice to see the real Gardner, but the featurette fails to offer much useful content. Finally, Inside the Rubik’s Cube fills six minutes, 43 seconds and features Rubik’s Cube documentarians David Paszkiewicz and Erika Speed, Cube enthusiast Mark Achilles White, and champion Speedcuber Leyan Lo. We get a history of the Cube and a look at its success and continued popularity. I think the show would have been more interesting with a view of the Cube-mania of the early 80s, but its glimpse of the current Cube competitions is intriguing as well. Performed by Bebe Winans and Dave Koz, we get an audio performance of the song I Can. We’re told that the film inspired the tune, which is why it doesn’t appear in the theatrical release. Someone out there might like it, but I didn’t. The DVD opens with promos for Spider-Man 3, Casino Royale, and The Holiday. These also appear in the Previews area along with ads for Surf’s Up, Stranger Than Fiction, Rocky Balboa, Stomp the Yard, Spider-Man 2.1, The Natural Director’s Cut, Across the Universe, Hitch, and Catch and Release. I’ve seen better feel-good fare than The Pursuit of Happyness, but I’ve also seen many worse efforts. This one suffers from a mix of concerns but boasts a good lead performance from Will Smith that helps overcome many of those issues. The DVD offers decent picture and audio along with a mix of fairly interesting extras. This is a worthwhile enough effort to merit a rental.